A unique growing system that can be used in various roles throughout the year to help you raise and protect large numbers of taller plants. 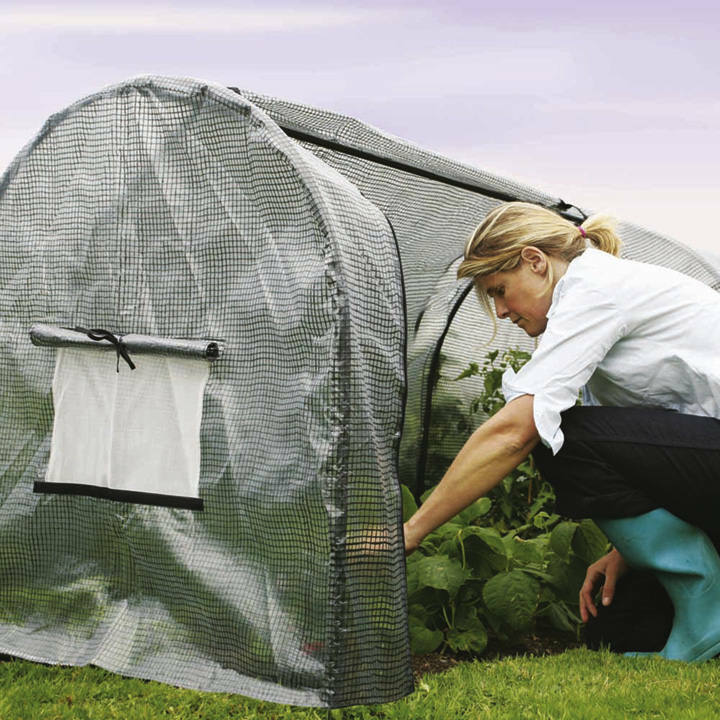 Ideal as a temporary spring greenhouse and shelter for pots and trays, as a growing and protection cover for larger brassicas and fruit bushes, and also for overwintering tender patio plants, and for protecting nursery beds. Grower System Frame: A sturdy, rust-resistant, powder coated steel frame. Quick and easy to assemble. Complete with ground pegs. 3m (9'8") long x 1m (3'3") wide x 1m (3'3") high.